The Probidad Project was an initiative from 1999-2005 led by the Colombian Confederation of Chambers of Commerce (Confecámaras) and supported by the Center for International Private Enterprise (CIPE),which sought to end corruption in Colombia, specifically within the private sector. Its main objectives were to inspire ethical standards across businesses; to reform unnecessarily convoluted procurement laws; to increase transparency of all sectors via improved communication and interaction with each other and with the media; and to educate and solidify the initiative with unrelenting online and interpersonal follow up. Confecámaras conducted three comprehensive surveys that reached 1,519 respondents and 15 cities; results were published in 350,000 copies of the Colombia’s Chambers of Commerce official newspaper. The impact of these surveys was high because they helped reform the Procurement Law No. 80 and inspired the private sector to take action to combat corruption. Confecámaras produced four instruments to tackle corruption: transparency pacts, integrity pacts, ethical pacts, and the all-encompassing Ethical Code of Conduct. Thousands of businessmen, candidates for public office, and current politicians signed or subscribed to these instruments to pledge their dedication to ending corruption by being transparent, ethical leaders. The impact of the instruments was high because they were well executed, but still left many people unaffected. Confecámarasreformed the Procurement Law No. 80 via lobbying, debates, research of legal openings, and alliances with both private and public sector stakeholders. The impact of this legal reform was outstanding because the project was able to change the law, despite initial congressional delay. Confecámaras created six educational publications and six workshops for businessmen and journalists. The impact of the two was only mild because the workshops, while programmed with applicable and formative content, were poorly tailored to fit the needs of the 69 participants (half journalists, half businessmen) and ignored the importance of individual training prior to joint conversation. Confecámarascreated a website for journalists to post anti-corruption articles and for businessmen to stay informed, accountable, and transparent. The impact of the website was low because it was poorly publicized and thus did not see much traffic. 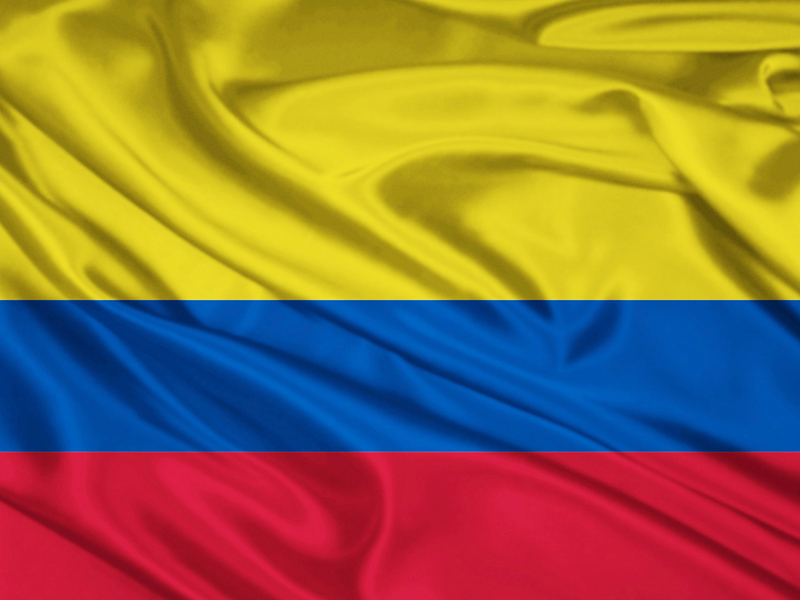 The Probidad Project successfully engaged the private sector in anti-corruption initiatives and inspired a new, important relationship between the public sectors and private sectors.The project inspired more trust in businesses, which allowed for more political and economic progress and ultimately a more democratic Colombia. While Colombia is widely known for its pervasive drug problems, before 2000, another force stood in the way of Colombia’s economic and political development. According to one national survey, over 37% of Colombians viewed corruption in businesses as the major threat (Islam 40). It is estimated that corruption and its subsequent effects cost Colombia democratic governability and 6% of annual GDP, as well as increased unemployment levels to 20% (Kovach 6).Corruption was prevalent in Colombia for several reasons, such as internal armed conflict that went as far back as the 1940s. In the 1970s, Marxist revolutionary movements yielded the creation of landowner fiefdoms (Spencer 6). Then in the 1980s these landowners created paramilitiaries, or Autodefensas, to defend themselves against the Marxist rebels (Spencer 7). Once the drug trade emerged, the Autodefensas aimed to protect drug producers. The Autodefensas have also inspired corruption by exploiting business information in the process of taking people’s land to grow coca and thus internally displacing three million Colombians (Kovach 7). Third, a lack of experience in implementing existing norms, a lack of continuity across government and private businesses, and a lack of citizen involvement in the issue also contributed to the corruption (Kovach 7). Finally, although the political system of Colombia is much more stable than it was in the early 1990s (for example, in response to an unnecessary 121 political parties in the 1990s, the Cifra Repatriadora established a stricter requirement of 250,000 votes or 2% in order for a political party to be included in the Senate), it only recently transitioned to be this way, which allowed for corruption to grow (Kovach 7-8). While corruption was clearly an issue for several decades, two major scandals spurred the “Probidad Project,” which means, “to be honest” in Latin. In 1991, the government liquidated the Colombian Ports Company and in the following year created a “Fund for Management of Social Liabilities” to control all labor-related claims (Kovach 9). This allowed management to make fake bills, ultimately stealing millions. The next scandal centered on a contract between the Ministry of Transportation and Dragacol. Dragacol was contracted to clean the sand of the Magdalena River but sued the government for committing irregularities. However, later, Dragacol donated to the President’s campaign in the same amount as the lawsuit (Kovach 10). It was determined that both public and private entities would be needed to fix this problem. The Center for International Private Enterprise (CIPE) partnered with the Colombian Chamber of Commerce (Confecámaras)because of the latter’s reputation as a credible force in the public sector. Confecámaras has 57 regional Chambers across Colombia and works on entrepreneurial and regional development (Kovach 8). While Confecámaras mission extends much farther, for the sake of theProbidad Project, which was set to run from 1999 to 2005, the Confecámaras focused on firms that contract with the government (Kovach 9). As of January 1, 2005, all businesses have to be registered online through the Registro Unico Empresarial, so that anyone can check on any business. While businesses are private organizations, most of their revenue is public funds, making this mandate permissible (Kovach 9). After Alvaro Uribe took over as President of Colombia in August 2002, Colombia’s economy saw dramatic improvements, with public debt/deficit reduction, a focus on export-growth, and strict federal budgets (Kovach 6). However, much of those successes were enabled by the trust that was built by the Probidad Project. Now, Juan Manuel Santos serves as President, and while the Probidad project has ended, its effects are still present (Presidents). While the project’s overall objective was to promote ethics in Colombian business, the Probidad Project had three phases between October 1999 and December 2005. First, the project created ethical codes of conduct for all businesses to adopt. Second,the project tackled legal and regulatory issues to change the Procurement Law. Third, the project emphasized follow through via education, communication, and increased transparency between journalists, businesspeople, and the government. From August 1999 to January 2000, Confecámaras conducted several anonymous surveys, which revealed that public procurement laws were too vague, that businessmen understood that they were partially responsible for corruption, and that these businessmen acknowledged ethics training as important because they lied about providing it (Kovach 11-12). The methodology of the first survey made it both a strong and a weak instrument. Because the survey was anonymous and because respondents were asked to answer on behalf of other firms, not themselves, they were more likely to be brutally honest. However, the results were presented in a very uptight, academic manner that alienated much of the uneducated public (Kovach 11). In 2002, Confecámaras released a second survey to improve upon some of the shortcomings of the first survey. They added five cities worth of respondents, which totaled 900 people (a 100% increase). The survey found similar results, but asked more targeted questions, such as “For you to trust an anti-corruption strategy, who should lead the anti-corruption process?” The private sector received the majority of the vote (40% for just private sector, 39.6% for both private and public sectors), which was the hard statistic necessary to push forward private sector initiatives (Kovach 12). The third survey was even more expansive, touching 15 cities and revealing that 74% of participants responded “private sector” to the aforementioned question(Kovach 12). These surveys provided the necessary data to support a basic Ethical Code of Conduct, but still did not provide a solution. As such, Confecámaras created transparency pacts, ethical pacts, and integrity pacts. Transparency pacts, started in 2003, were documents that engaged candidates for office to be transparent in the procurement process (Islam 41). Confecámaras talked to all candidates about the ethical duties of their hopeful jobs and encouraged all candidates to sign transparency pacts in order to promise transparency if elected. Integrity pacts had a similar mission and execution but were intended for businessmen in the private sector rather than candidates for public office.Over 16 businesses signed the initial integrity pacts in just two cities, which suggests that the pacts had a powerful impact even if just concentrated in a small area (Islam 42). Finally and most formative of the Ethical Codes of Conduct were ethical pacts, which were intended to consolidate enterprises’ commitment to standard ethics (“Private Sector”). All of these pacts had follow up committees to keep the committed leaders accountable. Confecámaras worked to increase businessmen’s awareness of the legal reform process and to change the Procurement Law No. 80, which regulates government contracting in Colombia (Calderón, Tamayo). Before Confecámaras stepped in, under the Procurement Law No. 80, each governmental body had a different registry for every procurement process, which resulted in a lack of continuity and excessive bureaucratic obstacles (“Private Sector”).The process was eventually consolidated, but even then, the Chambers did not have power to verify businessmen’s claims; only the government did, which did not solve the issue of corruption (Kovach 18). Aside from being very vague and poorly structured, which lead to various interpretations, the law was not aligned with the budget, bidders had to make additional contracts to complete a bid, and contracts were often delayed (“Private Sector”). Decree No. 2170 addressed several of the issues with Law No. 80. It opened adjudication of bid’s winners and ensured contract oversight and fair bidding (Islam 42). For several months Confecámaras tried to reform the law via the legislative branch, but Congress delayed voting on the law several times (Kovach 23). However, in December 2005, the First Commission of Senate approved the changes to the law, which include: elimination of automatic extension of concessions; promotion of local SMEs in public procurement; mandatory draw for direct purchases in cases of more than 10 bidders; and verification of documents the moment they are written at the Chambers (“Evaluation" 14). Confecámaras worked to increase transparency and ethical standards in the press by organizing six workshops that involved role-playing and training sessions (Islam 42). Out of 69 participants, about half were businessmen while the other half were journalists (“Private Sector”). Over the course of the workshop discussions, it became evident that local journalists often do not understand business jargon;they have other jobs and thus cannot focus on business ethics exclusively;they are under pressure to get sponsors; and they do not receive training on how to cover anti-corruption projects (Kovach 24). Phase Three also included the Probidad Project website, which focuses on anti-corruption information and transparency pacts news. It has features such as a moving news banner, a map with cities marked that were included in the surveys, constantly updating statistics about how many signatures there have been, links to CIPE, Procurement Law blogs, etc (Kovach 25). While the updated 2004 website was a step up from the old website, very few people visit the website and journalists, who should be the heart of the website, use it even less than businessmen (“Private Sector”). Made the private sector care about anti-corruption initiatives. Created synergies across public and private sectors. Conducted surveys with 1,519 respondents in 15 cities; results were published in 350,000 copies of Colombia’s Chambers of Commerce official newspaper. Reformed the confusing and arduous Procurement Law No. 80. Created an alliance with Javeriana University and University del Rosario and hosted 59 workshops in which 6,000 people (3,000 businessmen) participated. Gained 1,855 businessmen’s subscriptions to the Ethical Code of Conduct and 1,700 ethical pact signatures (from 1999 to 2005). Gained integrity pact signatures on $2,089,000 worth of contracts. Gained signatures on transparency pacts from 77 elected officials and over 350 civil society organizations. Produced six publications; 8,000 copies distributed in total. Created alliances with the comptroller organizations. Trained journalists and businessmen about transparency and opened lines of communication between the two parties. First, the project did not achieve nearly the participation from businessmen that is necessary to enact real cultural and institutional change. While Confecámaras wanted 50-60 businessmen at every event, they consistently barely met half of that number (Kovach 28). Similarly, without full participation, it is difficult to completely understand the impact of the Project; perhaps if 50-60 more businessmen would have participated, results would have looked differently and parts of the project would have been deemed null and void, while others might have been noted as potential areas to expand. Not only could Confecámaras not get businessmen to come out to their events, but they struggled to program the events in the first place. Confecámaras was subject to the Chambers of Commerce’s capacity and availability and could not host events whenever they wanted (Kovach 29). This severely limited their ability to get their name out there via repetition. Instead, they had to rebuild marketing efforts every time they held an event, which took away resources that could have been channeled elsewhere. Moreover, publicity was also a challenge at the most fundamental level. While most Colombians understood what “Probidad” meant and could thus imply the aims of the project, the Confecámaras was not vocal enough during the Project, with only a few articles being published in the media and very little national discussion (Kovach 29). Part of this challenge stemmed from a failure to utilize the Probidad website to its full potential. Although it could have benefitted from more updates and additions, after its redesign in 2004, the website would have been a perfect tool to mobilize support for anti-corruption, to spread stories and increase transparency, and to hold each other accountable – all via an easy-to-maneuver-and-organize platform, as opposed to the antiquated, disorganized, and time-consuming boxes of paper of the past. CIPE predicts that if the website would have been used more efficiently and frequently, the number of Ethics Code of Conduct subscribers would have increased twofold (Kovach 29). Finally, the project faced a human capital challenge, both in terms of staffers and leadership. First, Confecámaras was extremely understaffed during the project. For example, the one man who was most responsible for the project could only focus on the project for half of his time, as he had other duties to attend to. Confecámaras did not have any regional coordinator, assistant, or other additional full-time staffer for the anti-corruption initiatives (Kocach 30). In terms of leadership, there is the perpetual challenge of solidifying anti-corruption as a main goal of the President of the Confecámarassince each new President will likely have a different agenda. Ceate alliances with the public sector. Confecámaras should seek to make alliances with other institutions and powers in order to draw more attendance, increase legitimacy, and improve marketing. This has already proven to be effective in events in the past. Events that were planned by just Confecámaras could invite over 300 people and only see 20-30 people in attendance. However, events that were jointly organized by the Comptroller General and National Procurement Officer easily brought in 300 people to each event. Similarly, larger events also pull more journalists and incur greater press and publicity, which then continues to support the cause. Improve the Probidad Project website functionality and popularity. Confecámaras should increase funding to the Probidad website in order to improve graphics, user friendliness, external redirect features, promotional capabilities, etc. It should also incentivize journalists to post articles about anti-corruption and incentivize businesses to use it to subscribe to the Ethical Codes. This will streamline both processes and will consolidate the information and resources in one easily located and managed space. Finally, Confecámaras should reward people who use the website, either by creating breaks for people who post or by providing slight prizes for number of clicks and page views. Restructure the timing and format of training workshops for journalists/businessmen. Confecámaras should hold workshops on weekends as well as weekdays in order to make sure businessmen could attend. Furthermore, workshops should be divided into two parts– separate individual trainings specific to their respective jobsshould happen first, followed by a combined training to discuss how the two parties can interact practically. Expand the project to the rest of Colombia via on-the-ground efforts and virtual resources. Right now, only some cities have benefitted from the pacts and workshops. However, surveys show that most cities would benefit from these things. As such, Confecámaras should expand the pacts and Code of Conduct to other cities in order to reach the other half of people that are not being reached right now. While it would be ideal to do this all in person, that is not realistic – at least not immediately. Instead, Confecámaras should use the Probidad website to host online webinars and trainings for businesses to sign into. The initial cost of this might seem high, but the long run benefits of a more ethical yet simultaneously efficient and profit generating business make any initial sticker price worth it. Reform evaluation system requirements and make follow-up procedures stricter. First, Confecámaras should develop an evaluation system to be applied to offices that sign ethical pacts in the public procurement process in order to award those that are committed to ethics and transparency and to motivate a more transparent society. Right now, only certain offices are evaluated, but it is imperative that all offices are evaluated so that success and areas needing improvement or adjustment can be gauged. Next, in terms of actually evaluating the projects, Confecámaras should lower the unnecessarily high technical requirements of evaluators that are currently barring many interested and adequately qualified people from helping. Similarly, Confecámaras should incentivize citizens with breaks or premier access to resources to volunteer to help the committee read through bids rather than just relying on hiring people. Increase transparency via increased media presence and cooperation. Confecámaras should work with the media to promote its anti-corruption instruments, such as the pacts and codes of conduct, to citizens. This could be in the form of a traditional news media campaign, published articles in newspapers and journals, or even a social media campaign. If “#ProbidadProject” or “#CombatColombianCorruption” is trending on Twitter, people will be more conscious of it, not to mention more actively engaged in fighting it. This will also make it much more difficult for those committing corrupt acts to do so and get away with it. This media presence will increase the visibility of the projects, which will in turn hopefully increase trust and encourage more support for the projects in the future. If people see how the project instruments are helping, they will be more inclined to support additional projects of the like. This will also prevent negative effects from a lack of media. For example, when the Huila Chamber of Commerce did not publish anything in the local newspaper about their Transparency Follow Up Committee meeting, people who did not attend the meeting called the event biased and unsubstantiated (Kovach 30). Considering that the workshops and surveys indicated that many journalists do not fully understand businesses, Confecámaras should work to host dialogues and roundtables with journalists before businessmen just throw information at them. If journalists do not have to spend their time trying to decipher overly complicated business jargon, they can focus on presenting the information properly and thoroughly instead of veering toward yellow press. Similarly, Confecámaras will then not have to spend time and energy reconciling and doing damage control for accidentally destructive articles. Increase the number of staff and personnel focused on anti-corruption initiatives. At the time of the Project, only 18 out of 57 Confecámaras coordinators were working on anti-corruption initiatives (Kovach 31). Out of the 18, only 7 were completely focused on anti-corruption, which cannot possibly yield optimal results (Kovach 31). Instead, Confecámaras should hire more focused staffers or re-devote current staffers’ timeto the cause. This has already proved to be successful, as areas like Manizales, Pereira, Tunja, Armenia, and Cali all had Chambers coordinators and were most successful, especially in signing pacts and attending events (Kovach 31). Engage young people in order to limit the prevalence of corruption in the future. Confecámaras should strengthen their alliance with the two universities and seek to establish parterships with others in order to increase the number of youths that are interested in anti-corruption and are dedicated to the cause. This will ensure that the Project does not die with the current staff and that corruption in Colombia is permanently suppressed. Calderón, Tomás and Tamayo, Gustavo. "Legal Resources." Government Contracting in Colombia. Association of Corporate Counsel, 2 Feb. 2012. Web. 10 Apr. 2015. Islam, Nafisul. “Creating Frameworks for Anti-corruption and Ethics.” Rep. Strategies for Policy Reform: United States Agency of International Development, 2007. Kovach, Zlatko. Private Sector Initiative to Combat Corruption “Probidad” Project. Rep. N.p. : Center for International Private Enterprise, Dec. 2005. "Presidents of Colombia - Bogota." Important Figures and Outstanding People Born in Bogota. N.p., n.d. Web. 18 Apr. 2015. "Private Sector Initiative to Combat Corruption: "Probidad" Project, 1999-2005." Center for International Private Enterprise, 01 Mar. 2005. Web. 10 Apr. 2015. Spencer, David. “Columbia’s Paramilitaries: Criminals or Political Force?” Rep: Strategic Studies Institute, Dec. 2001.